These one-piece wheels which carry on the name of the TCII are the new flagship wheels of the ADVAN Racing bland. These TCIII are based on the traditional 5-spoke design of TC series with more concave spoke. 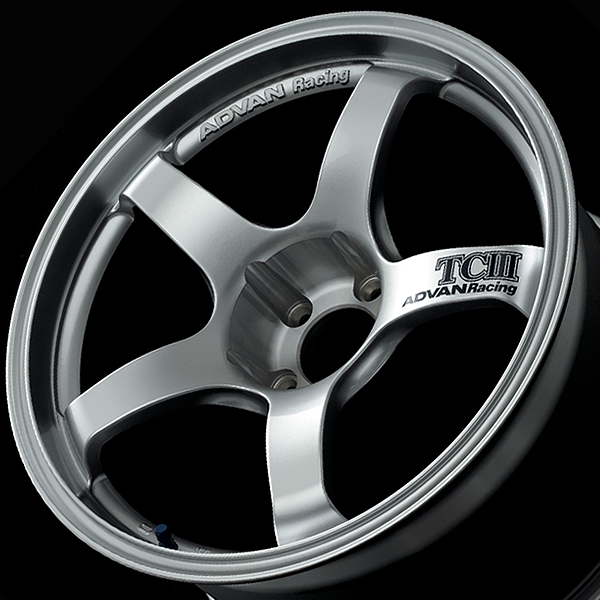 These one-piece wheels combine high-quality casting method with flow-forming production techniques. 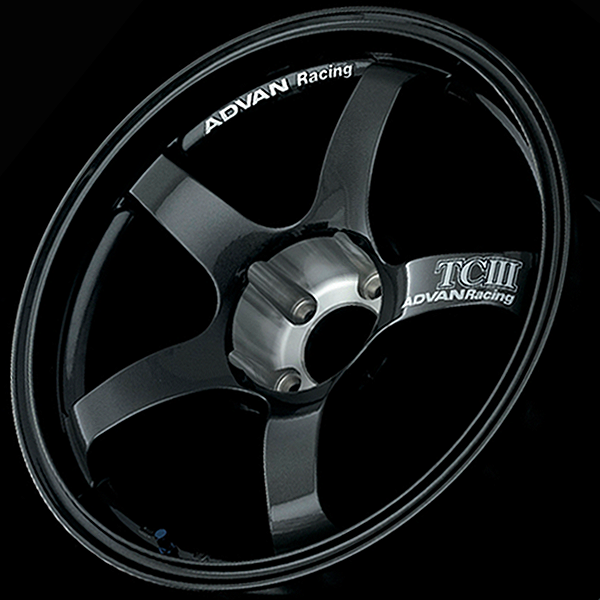 “ADVAN Racing”is cast on the rim between spokes in 1mm high. After painting, the letters are engraved on the face by 3D processing machine. 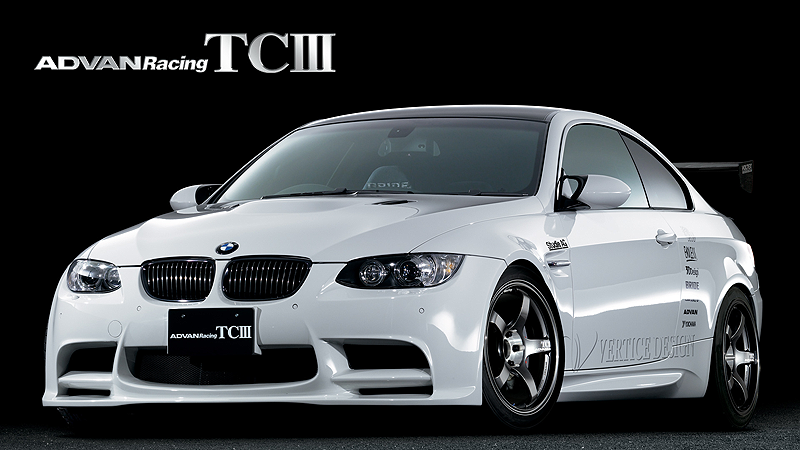 The special ADVAN Racing TCIII decal on the spoke is included. 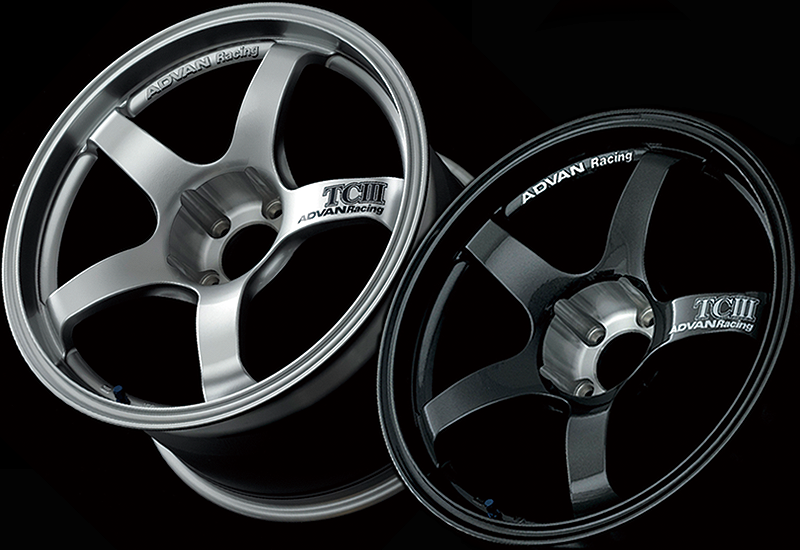 Two colors available: Racing Hyper Silver, Dark Gum Metallic. These wheels are designed to be used without center caps. ADVAN Racing CAPs are optional. 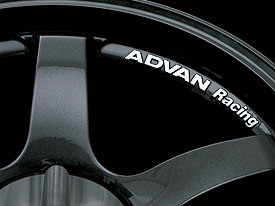 A hallmark of ADVAN Racing wheels is the embossed logo cut into the lettering surfaces. 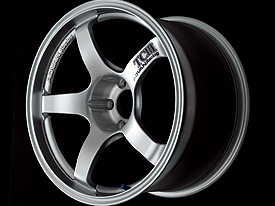 And with the debut of the TCII wheels, all wheel centers are milled, and a specially designed bit is used to drill the nut holes, bringing out the full brilliance of the milled aluminum. TCIII wheels were designed with circuit racing foremost in mind. Attention to detail is a matter of pride with the ADVAN Racing brand, and we spare no time or effort to finish every detail on every wheel. 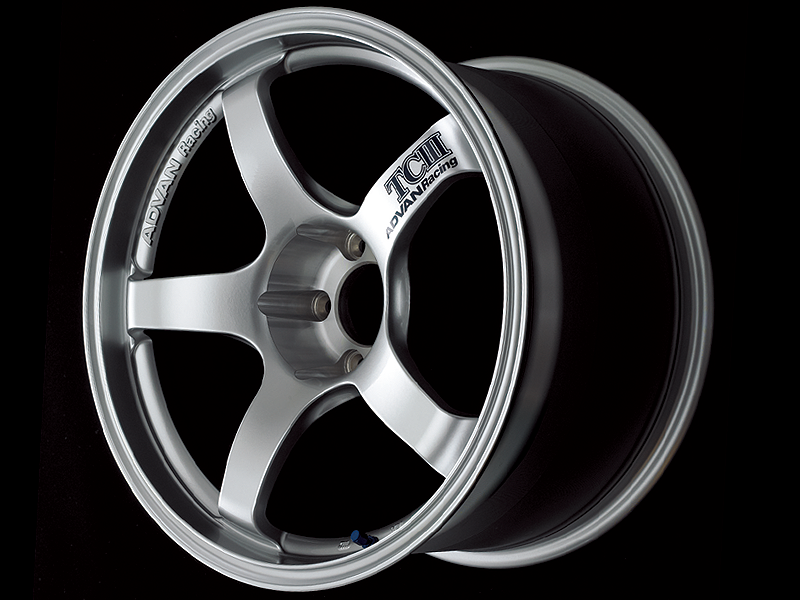 Appealing concave spoke designs were realized because we limited them to sizes with wide rims. 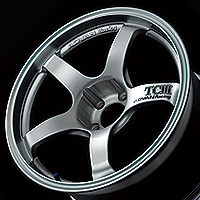 The outstanding rim profile of the TCII wheels is especially visible from this angle. 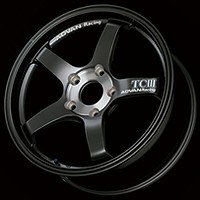 The drop necessary to mount the tires rises nearly straight up to the full 18-inch rim line. 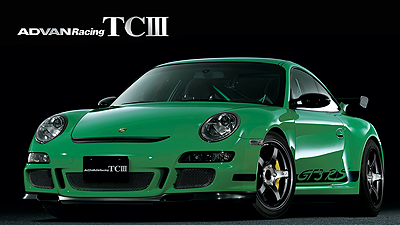 The rim profile, strongly reminiscent of racing wheels, allows these wheels to accommodate oversize calipers and rotors. 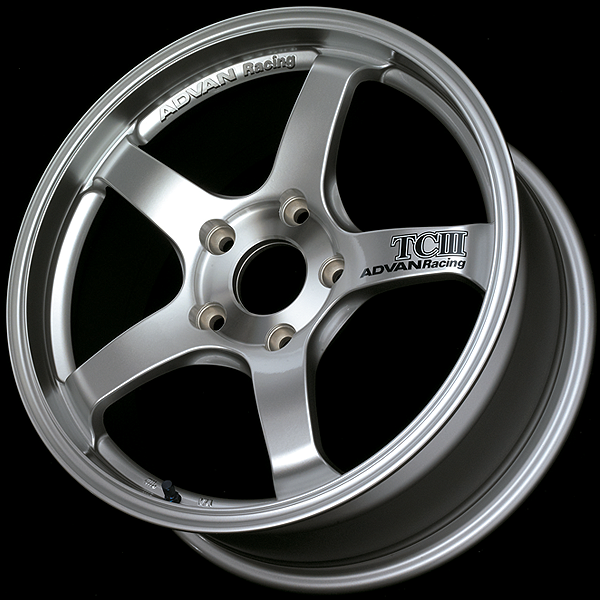 Capless design, but ADVAN Racing center cap (φ73 for PCD114.3) sold separately. 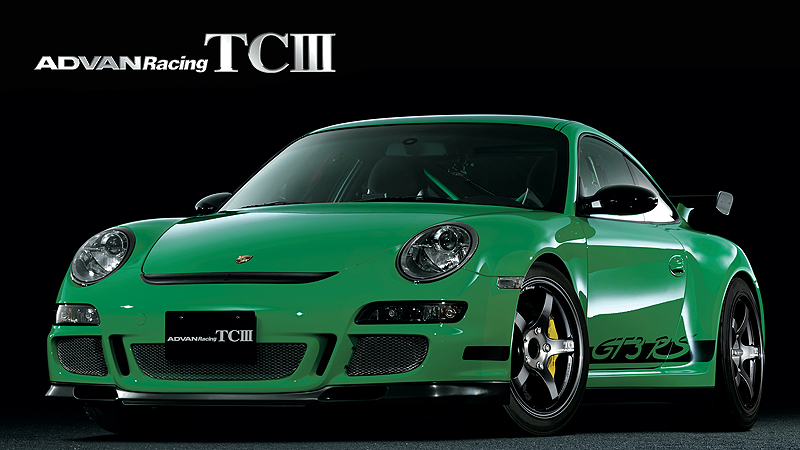 The special TCIII decal is includid. All sizes are tunner's size.